GAY DESENCLAVES, JEAN-BAPTISTE DE, priest, Sulpician, missionary; b. 29 Jan. 1702 in Limoges, France; d. sometime after 1764 in unknown circumstances. Jean-Baptiste de Gay Desenclaves joined the Society of Saint-Sulpice some months after his ordination on 15 June 1726. The authorities intended to send him to the missions in Canada, where he arrived in July 1728. He exercised his ministry in several parishes in the government of Montreal: at Notre-Dame in 1728; Sainte-Anne-du-Bout-de-l’Île (Sainte-Anne-de-Bellevue), 1729–31; Repentigny, 1732–34; Longue-Pointe, 1734–35; and Sault-au-Récollet in 1736. It appears that he then returned to France. In June 1739, at the request of Abbé Jean Couturier, superior of Saint-Sulpice, he agreed to go to Acadia. On 9 September he arrived at Louisbourg, Île Royale (Cape Breton Island), at the same time as François Bigot* and Isaac-Louis de Forant*. 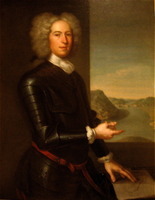 Among the missionaries who worked in Acadia in the 18th century, Desenclaves is distinguished by the fact that his relations with the British authorities in Nova Scotia were always cordial; his conduct consequently laid him open to criticism by the French authorities, religious as well as political. Desenclaves first went to Minas Basin, which was without its parish priest, Abbé Claude-Jean-Baptiste Chauvreulx, who was at the time in disgrace with the governor, Lawrence Armstrong*. After Chauvreulx’s return in December 1739, Desenclaves took charge of the parish of Rivière-aux-Canards, at Minas. From there he carried on an exchange of letters with the English administrator, Paul Mascarene, concerning the difficulties which the ecclesiastical jurisdiction might create for civil justice, and vice versa. Several historians, in particular Henri-Raymond Casgrain* and Francis Parkman*, concluded from this correspondence either that Mascarene interfered in the administering of the sacraments or that the missionaries exercised undue influence in civil affairs. In reality this exchange amounted to the working out between Mascarene and Desenclaves of their respective jurisdictions and of the missionaries’ delicate situation in Nova Scotia. In June 1742 the bishop of Quebec, Pontbriand [Dubreil] appointed Desenclaves parish priest of Annapolis Royal. Since the treaty of Utrecht in 1713 this office had always engendered strife between the governors and the parish priests. With Desenclaves’s arrival began an era of good feeling between the two sides, with the result that a British officer had occasion to complain that the soldiers had had their children baptized there by the Roman Catholic priests. In 1744, when troops from Île Royale were trying to take possession of Annapolis Royal and were besieging the town [see Joseph Du Pont Duvivier], the conduct of some missionaries, among them Desenclaves, was severely criticized by the French authorities: “The Sieur Desenclaves,” wrote Maurepas, minister of Marine, to the bishop of Quebec, “informed the English governor exactly of all that he could learn of the proceedings of the French and exhorted his parishioners to be loyal to the king of England.” The bishop of Quebec could only admit the validity of these criticisms. It is understandable that Mascarene praised the missionaries’ conduct. In May, June, and November 1747, however, Desenclaves agreed to pass on information about the activities of the English to the officers of the expedition from Canada led by Jean-Baptiste-Nicolas-Roch de Ramezay*, but it seems that his chief reason was to hasten the retreat of the French troops. Indeed, in agreement with Mascarene, he wrote a letter at this time to the habitants at Minas “to reassure them and to urge them not to take sides,” indicating clearly that he hoped that the Canadians had already withdrawn. On 1 Aug. 1749, at the time of the founding of Halifax, Desenclaves was called to the new capital to put his affairs in order with the authorities and to receive new instructions concerning the policy of the British government towards the Acadians. The missionary continued to have good relations with the government. He advised his parishioners to take the oath of allegiance to the king of England but succeeded nevertheless in eluding the oath for himself; his colleague Chauvreulx, on the other hand, took it. In 1752, after Abbé Jacques Girard*’s departure for Île Saint-Jean (Prince Edward Island), Desenclaves was left alone with Chauvreulx to carry on his work in English Acadia. Although Abbé de L’Isle-Dieu, the bishop of Quebec’s vicar general in Paris, increased the number of missionaries in all the posts in French Acadia, he refused to send reinforcements for the two Sulpicians, who did not share the views of the French government sufficiently for his liking. In 1753, however, the vicar general acceded to the bishop of Quebec’s request and sent Abbé Henri Daudin with instructions aimed at inciting the population of English Acadia to remain under French allegiance. Either because he “was obsessed with jealousy of Abbé Daudin,” as the Abbé de L’Isle-Dieu believed, or because he was in disagreement with French policy, which is more likely, Desenclaves gave up the parish of Annapolis in the spring of 1754 to withdraw to the seigneury of Entremont at Pobomcoup (Pubnico) in the south of the peninsula. He thus escaped deportation in 1755; in April 1756 he was present, helpless, at Jedediah Preble’s raid on the Pobomcoup region, an incident of which he was the sole eye witness. He succeeded in escaping this new deportation, and with a score of persons he took to the woods, where he was confident that “the English will have difficulty in finding me.” Nevertheless, he was captured in 1758 by Captain Joseph Gorham* and was imprisoned in Halifax. He was deported to France and reached Le Havre in February 1759. Abbé de L’Isle-Dieu succeeded in getting a pension of 400 livres for him. 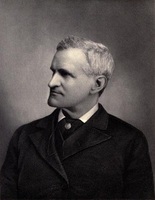 It was at this period that the missionary sent the minister, Nicolas-René Berryer, an extremely curious letter in which he set forth his views on France’s policy in America. He indicated that he was more aware of the objectives of British policy than of those of the French; among other things he was an advocate of the project of having the Canadians transmigrate to Louisiana in the event that Canada was lost. From Honfleur, where he wrote this letter, Desenclaves went to Limoges, probably in 1759, where family matters had been requiring his presence for nearly five years. Since 1746 he had suffered from a pulmonary illness, and he was exhausted by the final years of his mission. A certificate dated 1764 informs us that he was at Saint-Iriex-la-Pérèche, near Limoges, but nothing is known about his death. Desenclaves has been in particularly high favour with English-language historians. The opinion expressed by one of them, A. G. Doughty*, in 1916 sums up fairly well that of the others: “‘If the Acadians had had more advisers of the type of the Abbé Desenclaves, they might have been spared much of the suffering which fell to their lot.” This statement implies that Desenclaves was the only missionary in English Acadia who did not play a political role in France’s favour among the Acadian population. In any case, it seems difficult to maintain that the Acadians’ fate would have been different if all their missionaries had acted as had Abbé Desenclaves. AAQ, 312 CN, Nouvelle-Écosse, II, 2ff; IW, Église du Canada, II, 519, 791. AN, Col., B, 69, ff.55, 77v; 78, f.6; 81, f.64; 110, ff.60, 119, 214; C11A, 78, f.407; 82, f.306; 86, f.140; 87, f.365; 93, f.80; 95, ff.150–54; 100, f.130; C11B, 20, f.85; 21, f.21; 22, f.116. ASQ, Lettres, S, 7 i, 103; T, 59; Polygraphie, VII, 5, 114, 122; IX, 29; Séminaire, XIV, 6, no.14, p.6. “Acadiens: certificats concernant l’état civil, 1764,” Nova Francia, IV (1929), 183–87. Coll. doc. inédits Canada et Amérique, I, 12–16, 41–46; II, 10–75; III, 60–80, 181–91. Coll. de manuscrits relatifs à la N.-F., III, 343, 346, 369, 438. Knox, Historical journal (Doughty), I, 275; III, 341–48. “Lettres et mémoires de l’abbé de L’Isle-Dieu,” APQ Rapport, 1935–36, 301–6, 317, 321, 332, 383; 1936–37, 404, 405, 416, 422; 1937–38, 169, 185. N.S. Archives, I, 111–13, 118, 122–26, 146–50, 170, 211, 305; II, 135, 144, 149, 153, 155, 160. PAC Report, 1894, 124, 137, 153, 179, 195, 209; 1905, II, pt.iii, 346–56. Casgrain, Un pèlerinage au pays d’Évangéline, 419–32; Les Sulpiciens en Acadie, 281–87. Parkman, Half-century of conflict (1892), I, 194. Richard, Acadie (D’Arles), I, 402–6; III, 285–91. Micheline D. Johnson, “GAY DESENCLAVES, JEAN-BAPTISTE DE,” in Dictionary of Canadian Biography, vol. 3, University of Toronto/Université Laval, 2003–, accessed April 24, 2019, http://www.biographi.ca/en/bio/gay_desenclaves_jean_baptiste_de_3E.html.